In the United States today is Election Day. The elections today are called mid-term because they are between U.S. Presidential Election years. Across the nation there are citizens you will have the opportunity to vote for federal, state, and municipal positions. Here in South Carolina there are numerous positions on the ballot including Governor, Lt. Governor, U.S. Senate seats, and State General Assembly seats both in the House and Senate. In addition we have two referendums. We the citizens of South Carolina and around the nation are the CEOs of our future. Yes that is correct our role in the election process is as important as a CEO or hiring manager. Our vote does count, if it didn’t there wouldn’t be so much effort to deter it and make it harder to vote. Voting dictates your well-being for the next two years. Your decisions on the ballot will determine if President Obama will be able to complete and do many of things he has worked toward this term, one being immigration reform. Around the world the stubborn deadlock of the Republican Party is being looked upon as negative for our country and economy. Today, remember the government shut down that was spearheaded by the Republican Party not willing to work for a compromise. Over 20 billion dollars were lost during the shutdown. Think about that when you cast your ballot. There are many against the Affordable Healthcare Act but this law has helped millions of U.S. citizens gain access to healthcare. I admit that the legislation is not perfect but repealing would be illogical. It is time that the U.S. Congress takes the next couple of years to honestly work together; and for the party of NO to be a party of at least maybe. Finally, I encourage you to cast your ballot. Be sure to take federally issued identification to the polls with you. Note that in most states you may even vote by provisional ballot if you do not have proper identification. Do not allow anyone to stop you from voting if you know that you’re eligible. If you believe that you or someone you know is a victim of vote discrimination then go to your states election information site. If you live in South Carolina go to http://scvotes.org and other places check out http://Vote411.org . Or you can select the Voter Information tool below to find out information specific to you. 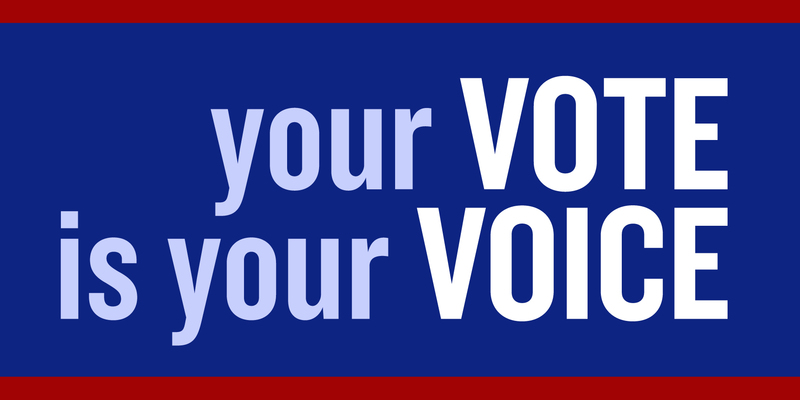 …Remember that your vote is your voice, don’t stay silent.